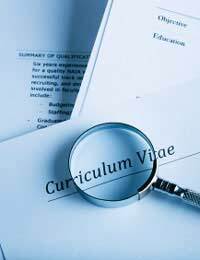 To acquire almost any professional sales marketing job, you need a curriculum vitae (CV). And chances are strong that if you’re applying for sales and marketing management positions, you already have a CV on file. But is your CV as strong as it can possibly be? To help you ensure that your CV represents you in the best light possible, look over the following hints to create a document that shines. Your CV needs to be as complete as possible, and that means that you’ll have to do plenty of brainstorming. On several sheets of paper, write down every job you’ve had including all the responsibilities you held in the position, achievements you made, significant projects you spearheaded, campaigns you designed, et cetera. Do the same with volunteer positions you’ve held that are pertinent to your job search. The more thorough you can be, the better. This isn’t an assignment that can be finished quickly, though. Give yourself quite a bit of time; often, we forget about our past duties or on-the-job successes. Make sure you remember all of yours so you can include them on your CV. Too many CV writers plug descriptors into their documents, assuming that those descriptors will act as “selling points.” Unfortunately, what actually happens is the CV winds up becoming “watered down” with “fluff” and lacking in substance. It boasts, but doesn’t “sell”. If you’re relying on objective data such as numbers, dates, awards, publications and the like, you’ll be less apt to fall into overuse of adjectives. “Short and sweet” is a good motto to follow when formulating your CV. If you find yourself propping up your sections with sentences and words that hold little weight, stop. You should always have a tight CV, not one that reads like a novella. A CV should be just long enough to give the prospective employer a sense of the person applying for the sales marketing management position, but not long enough to become overwhelming or dull. Spellcheck may be handy, but it’s not your friend, especially when it comes to composing a CV. Rely instead on human eyes to edit your final document… and make sure they aren’t just your eyes. Asking someone else (or two other people, if possible) to edit your CV will ensure that there are no typos, grammatical errors or other mistakes embedded in the pages. Remember that even a small gaffe can cost you a lucrative job offer.